Overview & specs of DJI Mavic Flight Rechargeable Battery by Littlewoods. 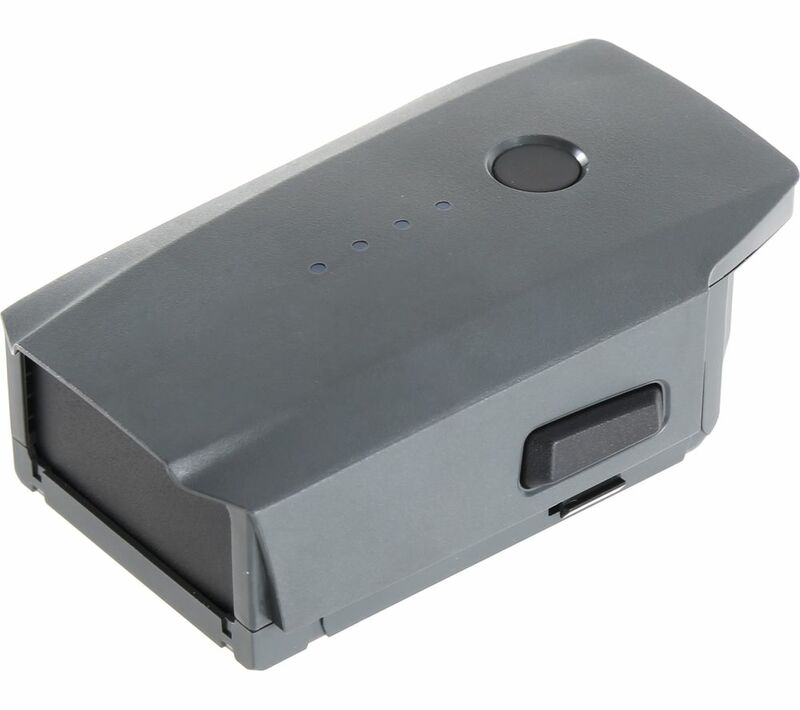 DJI Mavic Intelligent Flight Battery Use this 3830mAh LiPo rechargeable Battery as a spare or replacement for your DJI Mavic Pro drone. DJI's new generation intelligent flight battery is great to have on hand if you want to extend your flight times without having to wait for batteries to recharge. This high performance battery offers a super-long flight time of up to 27 minutes and features bright LEDS that let you know the status and remaining power of your battery in real time. The advanced Charging Hub optimises charging to improve efficiency. The advanced version charges fully in on hour less than the standard version. When used together with the Phantom 4 charger, the charging time is reduced to 2.5 hours. High capacity for up to 27 minutes of flight time Four LEDS display both the status and the remaining power of the battery Integrated power management and balanced charging capability Smart charge/discharge functionality helps protect your batter Easy slot-in design for fast charging and installation/removal Designed specifically for the Mavic Pro Batteries must be charged using a DJI approved adapter. This Intelligent Flight Battery is compatible with DJI Mavic Pro. We are comparing prices for DJI Mavic Flight Rechargeable Battery in new condition sold by Currys Pc World, Littlewoods, Argos, Very.co.uk.